This recipe couldn't be easier. Simply simmer a few ingredients together for the sauce, then add the meatballs until they're cooked through. Twenty minutes and they're ready to serve! I made these stovetop, but a slow cooker would really come in handy here for serving. This dish can easily be doubled or tripled for a party, and it makes a great cocktail appetizer. Now let's get to the taste. As I mentioned, added chipotle packs a lot of heat, so halve the amount if you want a milder dish. 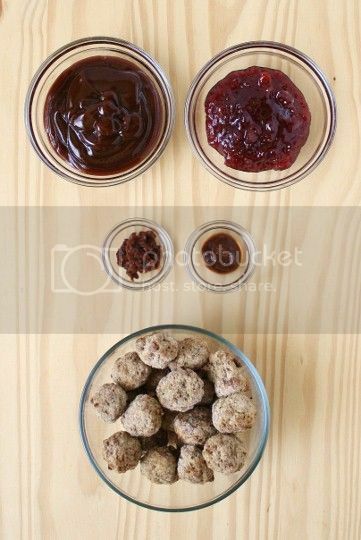 The sauce is a perfect combination of sweet, tangy, and spicy that goes perfectly with the savory, salty meatballs. The cherry flavor isn't overly pronounced, but you can tell the sweetness definitely comes from the preserves (it would be fun to experiment with different fruit preserves here, I'm thinking apricot would be amazing). 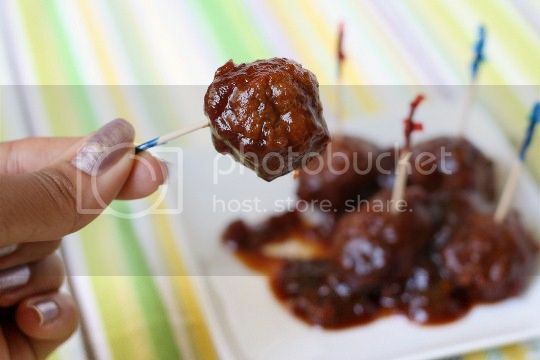 The sauce is a great texture - thick and sticky - so it coats the meatballs well. Just be sure not to leave the meatballs on the heat for too long, as the vegan kind tend to fall apart the longer they cook. Add barbecue sauce, cherry preserves, chipotle pepper, adobo sauce, and water to a large pot. Bring to a boil over medium-high heat. Reduce heat to low, and simmer, stirring occasionally, about 15 minutes. Add meatballs. 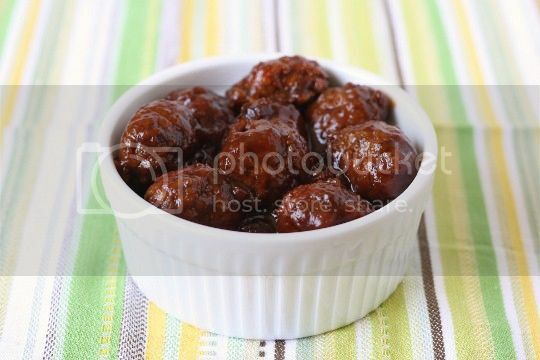 Stir until all meatballs are coated, and allow to simmer until cooked through, about 2-3 minutes. 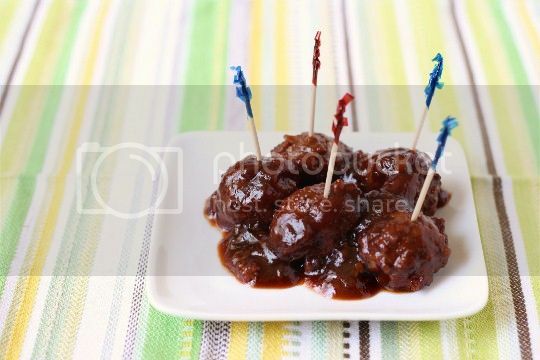 Nutritional data (per meatball, about 21 total): Calories 70, Fat 2g, Sodium 214mg, Carbs 10g, Fiber 1g, Protein 3g.